Last updated by Hannah Nolan at April 28, 2014 . We all know diets work. Every book, article, fitness plan, you name it works as long as you actually do it. Getting the motivation to follow through is arguably the most important part of losing weight. The information will always be there, but the motivation….that’s the elusive piece of the puzzle, the thing that everyone wants and few of us have. How do you get the motivation to get started, stay on track, and most importantly, to get where you want to go? When I was trying to reach my goal it was the motivation to continue that was the hardest part. Figuring out ways to keep going was a challenge in itself but it has changed me for the better in all parts of my life. I receive emails from people everyday sharing their frustrations and challenges with weight loss. About 80% of them say they lack the motivation to stick with their weight loss program. They report that they do well for a while and lose some weight, but inevitably fall off track – whether due to a loss of focus or some other kind of self-sabotage. Sound familiar? Taking action implies that there is a desired goal in place, so the first thing that you must be absolutely clear on is ‘what is your goal’? I often tell members to sit down and PLAN and set themselves a GOAL. The challenge here is that it’s usually not enough to just come up with a number. Whether it is 7 pounds or several stone – you’ve known for perhaps years that you need to get in shape, telling yourself “I need to lose 20 pounds” over and over again and yet it still hasn’t gotten the job done. Just having a number in mind is not always enough of a goal. 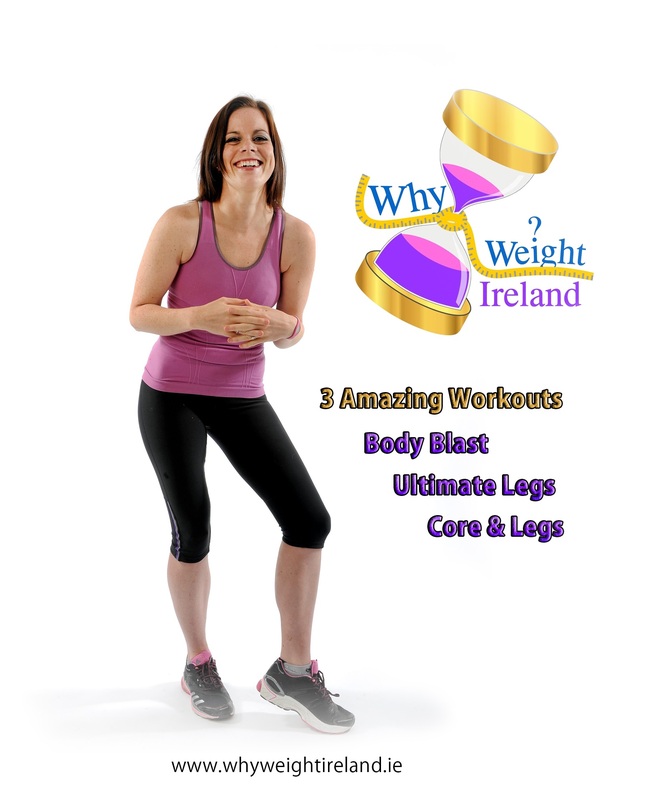 So consider: the better question to ask is, “Why do you really want to lose weight”? This may sound like an obvious question, but if you’re struggling with your weight, you need to ask yourself this question again and again until you have a very clear answer. You may even come up with real legitimate reasons but at the same time if you think about it you aren’t putting 100% into hitting your goal. Trying it for one or two days is not going to work and will more than likely make you go backwards. Why are you looking to lose weight? To get into your favorite pair of jeans? To feel better/confident in yourself? To show your children that it can be done and to show them a healthy life? Because the doctor told you you’re pre-diabetic but that there is still a chance to turn it around? Because you’re sick and tired of feeling sick and tired? You have to become crystal clear on your “Why”. This is the first step in establishing a goal. When you have gotten a clear reason and written it down, how motivated to take action are you? Do you feel your emotions stirring? Are you feeling the pull to get off the couch? Are you feeling the readiness to break your bad habits and make changes to your diet? Or are you just going to look at it and put the piece of paper away and say its too tough? If you’re not ready, then you probably need to do some more work on your “Why”, because your “Why” is the foundation of your motivation. Here is a hint: some people are more naturally motivated towards pleasure (the thought of looking great in a summer dress, running a 10K), while others are more motivated away from pain (having to start taking insulin, having to see their friends and family while being heavy and overweight). The trick is to find out which one – “Towards Pleasure” or “Away From Pain”- is more compelling to you in terms of your weight loss, and to focus on that. 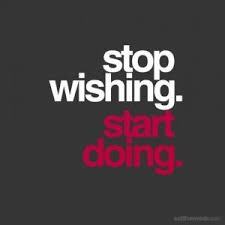 Write down all the reasons that cause you to begin to stir and want to take action. This is just for you, so be bold and write everything down, even if it’s very personal. This is a very important step that cannot be overlooked. Writing things down on paper gives you the physiological feeling that its real – if its not written down it can feel ‘unreal’ or ‘like a dream’. This is also the reason why our online food & exercise has been so successful – because people can visually see exactly what and how much they are or aren’t eating. Building on your “Why”, what is your deeper purpose behind losing weight? How will your life be better if you lose the weight? Create a compelling picture for yourself that is rich in detail of how your life will be better. Who will you be doing it with? Will the motivation to exercise come naturally? How will you feel when you’re there? What clothes will you be wearing – or not wearing ; ) ? In case you didn’t notice, all of the above examples were written with “Towards Pleasure” in mind. But maybe you’ll find that doesn’t work so well for you – maybe it doesn’t quite give you a sense of purpose. Similarly, you may want to create a compelling negative picture for yourself. If you don’t lose the weight, what are you going to miss out on? What opportunities will you lose out on? Maybe the ability to enjoy healthy time with your family late into your life? Or maybe you will miss out on playing with your children? How will your health deteriorate if you don’t lose weight? What does the hospital room look like where you’ll have to go for dialysis treatments? So create a compelling picture for how your life is going to be better if you lose the weight, or worse if you don’t. Cultivate this picture until it gives you a clear sense of purpose. When that purpose is there, you will be much closer to taking the necessary action. Remember, that while uncovering your “Why” and the deeper purpose that motivates you is a first step that cannot be skipped over, we all get busy and stressed, and it’s very easy to lose our focus. At least until you build some positive, forward momentum and get comfortable with your new habits and behaviors, you may have to remind yourself of your “Why” and your deeper purpose again and again every day. You might feel that there is nothing in your life that you can see that is positive or you may feel that you just don’t have time but these can be overcome – if you feel you have nothing positive in your life – just reading this blog and beginning your new journey will lead to positivity in your life. If you feel you don’t have time, this is just an excuse – you DO have time. You MAKE time. Write down your answers on a piece of paper and put it next to your bed or tape it to the bathroom mirror or hang it on the fridge door. Every morning and every night remind yourself why you really want to lose weight. 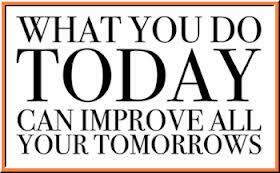 Remind yourself why you need to begin taking action today, what the payoff will be if you do, and what the cost will be if you don’t. This is not the only step on the journey, of course, but it is an important one that you have to master early on. Getting the right support in place is also extremely important, as is learning how to handle the stress and challenges of daily life in a healthy, constructive way that doesn’t cause you to abandon your weight loss efforts or turn to food for emotional comfort. Losing weight is NOT just about food & exercise – no matter what people may say. 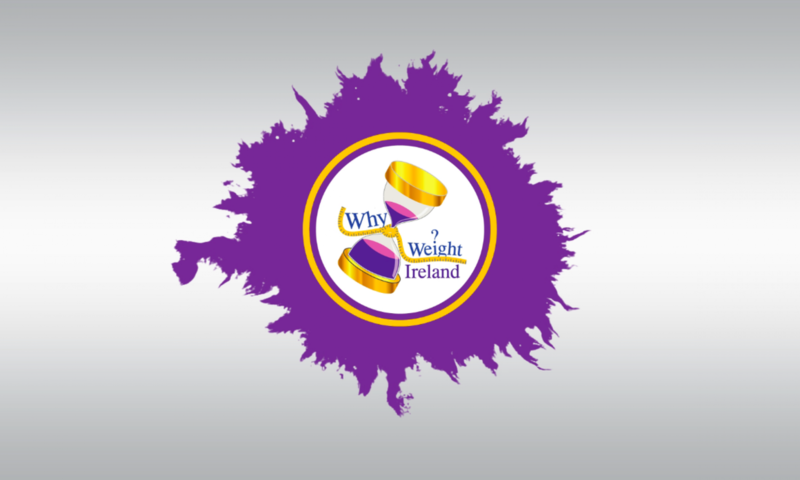 One very important thing I have seen at Why Weight Ireland over the past couple of years is the difficulty people have sticking to plans. The problem isn’t that these plans don’t work. They work incredibly well. The issue arises when one inevitably falls off track. Often what happens when people fall off track, is that they either beat themselves up or they just say “screw it” and accelerate their downward spiral. The issue here is simply one of “expectation.” People tend to put too high expectations on themselves – once they begin a weight loss plan they think that is the hard part done and think the plan will do all the work – unfortunately this is not the case. You will read in various magazines and newspapers about dropping a dress size in a week, or get the ripped stomach in 10 days – Don’t believe everything you read – the majority are paid advertising that just want you to buy into their fad! Reducing your expectations can help give you the boost you need – aim to lose a MAX of 2lbs per week – any more and you are putting more stress on yourself and will inevitably end in failure. When you start to eat a healthy diet you’ll soon find that you have more confidence. Which is highly motivating in itself. This is a critical shift in cracking your motivation puzzle. The second shift that you must make is starting to move more slowly when you exercise. Unless you are already exercising regularly or an athlete, you are likely to be in a mode where you feel guilty about all the exercise you aren’t doing! When you start to exercise more slowly, it becomes more doable and more enjoyable. In very simple terms, when you enjoy exercise, you’ll be motivated to do more of it. If you approach exercise as a “I have to do 45 minutes of cardio and go ALL OUT! !” you are likely to do less of it. Find an exercise that you enjoy. Over stretching yourself during exercise when you are not used to doing so may cause you to hate doing it and end up stopping completely. There are three major components to motivation: activation, persistence and intensity. Activation involves the decision to initiate a behavior, such as beginning a weight loss journey or starting a fitness plan. Persistence is the continued effort toward a goal even though obstacles may exist, such as taking an additional fitness class in order to hit your target/goal although it requires a significant investment of time, energy and resources. Finally, intensity can be seen in the concentration and vigour that goes into pursuing a goal. For example, one person might lose weight without much effort, while another person will try everything, participate in weight loss groups and take additional fitness classes to do whatever is needed to hit their goals.